Years 4 and 5 visited Clitheroe United Reformed Church to take part in their Easter Experience. The children thoroughly enjoyed interacting with the six different aspects of Holy Week. looking after their local environment. Class 3 have been investigating how well they brush their teeth! Chatburn's Tennis Team beat 16 other Ribble Valley teams to go through to represent the borough at the Lancashire Finals in June at South Ribble Tennis Centre. Classes 1 & 2's nativity this year was based on Celebrity Come Dancing, where all the celebrities were the characters of a traditional Nativity play. The first dry day in a week deserves celebrating. Out comes the parachute for fun and games at dinnertime play. The children had some very interesting and challenging questions to ask him! He kindly talked to us about his role as an MP, some local issues the children were interested in and about how he engages with the people in his constituency. They got lots of tips from Mr Evans which will help them in their role as members of the School Council. We had a brilliant time raising money and having fun at our Santa Dash. 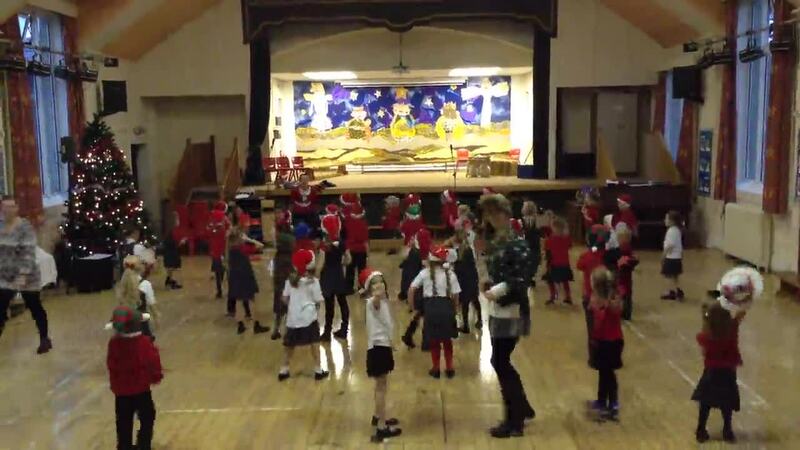 The children then stopped after school for a Disco & Karaoke, hot dogs and pizza. Thanks to 'The Friends' for organising a fantastic event! We held a coffee morning to raise money for Macmillan. Everyone baked cakes and buns which were sold to pupils, parents, staff and governors and all the money went to charity. Can you see the cakes which were made with Fairtrade ingredients? We were delighted to welcome the children from Bethany to our school. They told us about life in Tanzania and what it was like for them going to school. Their singing was amazing! On Friday 4th March we held a Fairtrade Breakfast in the school hall. All the children and their parents were invited and over 120 breakfasts were served! There were lots of Fairtrade products to try, such as jam, chocolate spread, honey, muesli bars, fresh and dried fruits and fruit juice. We also had locally produced yogurts and sheep's milk. The breakfast was held to raise awareness of the benefits of buying fairly traded foods. As part of National Anti Bullying week the children came to school dressed in black and white. They then spent the day learning all about what behaviour is bullying and what is not. We learnt how to respond to bullies and how we can help others who we think are being bullied. We also learnt that bullies can change and learn how to be good friends.